欢庆“三八”节，汉化GmapTool0.61第3页-GPS软件与地图资源区-小胖熊酷数码GPS论坛 www.sosaw.com-GPS导航社区与手机软件分享 - Powered by Discuz! Program for joining and splitting maps in Garmin img format. 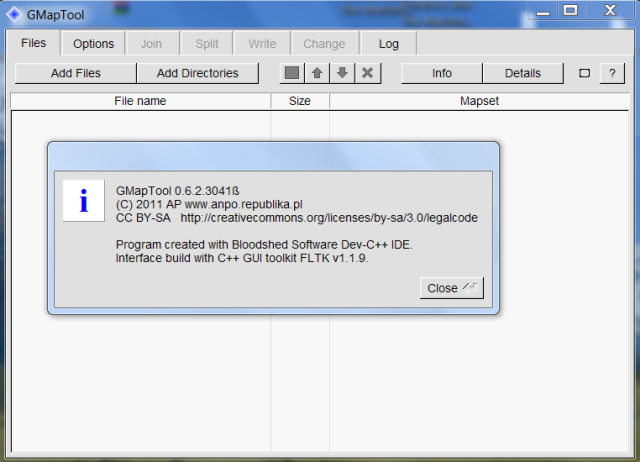 Download contains GUI and command line version. GMT+8, 2019-4-22 14:11 , Processed in 0.207128 second(s), 27 queries .